Krita is a well known raster graphic application and is part of Calligra suit; originally it is designed for KDE desktop, but works flawlessly on GNOME, Unity and all other popular desktop environments. It successfully handles bitmap and vector illustration, and is most widely used digital painting and illustrator app. It provides large set of brush engines, openGL supported canvas, filters with real time preview, and support for large number of file formats and color models. 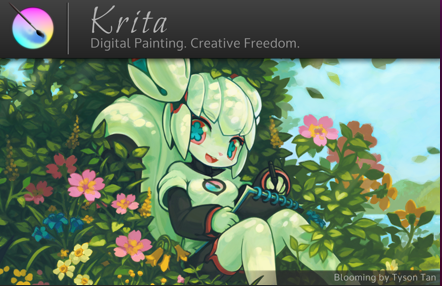 The latest version of this application Krita 2.9.6 is out now. 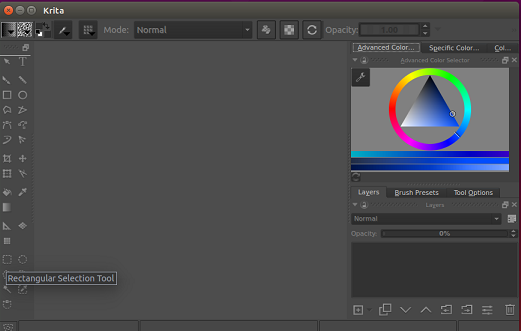 Let’s review the prominent features of Krita and its installation process on Ubuntu Linux. This is an extremely feature rich application, we have just listed noteworthy few features below. It provides an ease to use graphical interface, choose color schemes, toolbars, dockers, keyboard shortcuts from Setting menu to customize the working of krita it to your liking. Easy to create textures and patterns using Wrap around mode. It provides multiple brush engines and blending modes so that you may render high class illustrations and painting with ease. Advance selection and masking tools that comes bundled with Krita adds more feathers to your drawing and graphical creations. You can use selection tools in multiple ways. It provides wonderful Symmetry Tools and Drawing aids to take control of the axis and drawing angles. “Filters” and “Effects” features let you add new look and feel to your creative graphic art. You can adjust brightness, contrast, preview etc. This tool provides excellent layers (raster, vector, filter, programmatic, group) and color management. 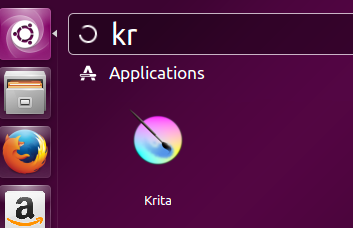 In order to install latest Krita version on your ubuntu system, launch your terminal window and run following command to add Krita PPA to your package manager. Now run following command to install latest Krita. That’s it, launch it from Applications menu. Krita is the most important application under the Calligra suit. It has pretty a rich internt community so you can learn and use Krita easily. Hope you enjoyed the article, do let us know in comments.